All of us, even those not gifted with empathic qualities, are sure to melt when we see a child suffering from leukemia. We shed tears when talking to a mom whose daughter is debilitated with pain from chemotherapy. But a child suffering from the misfortunes of a psychiatric or behavioral health problem is vaguely seen on the outside. A lot of kids and teenagers who are emotionally hurt keep the pain to themselves. Others show their feelings in unpleasant or violent ways. And mostly because of stigma – shame, lack of knowledge, humiliation, and misconception about psychiatric problems – most of these children never get medical care. People who are concerned about these problems (like you and me) need to discredit some myths about child behavioral health. This is crucial in getting help and understanding for more children because they deserve it. Myth #1. Bad parenting causes psychiatric disorders. A child’s school and home atmosphere and his bond with his parents can aggravate a psychiatric disorder; these factors do not primarily result in the psychiatric disorder itself. Depression, anxiety, and autism are believed to have been caused by biological factors. And although parenting is not to blame, parents do play a vital role in supporting and caring for their children to hasten their recovery. Myth #2. Children diagnosed with a psychiatric disorder are marred for life. A child’s potential for a budding future and a fulfilled life can be at risk when he is diagnosed with a debilitating psychiatric disorder. However, if his pains and struggles are acknowledged and treated earlier, then he will have a better opportunity of managing the symptoms and growing up into a healthy and resilient adult. Myth #3. 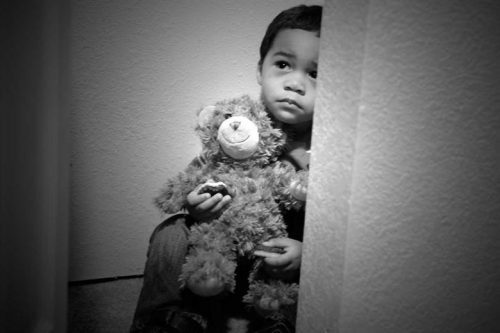 Children develop psychiatric problems because they are weak and scared of many things. It’s not easy to distinguish the symptoms of your child’s psychiatric problem – his offensive behavior, hyperactivity, or severe anxiety, for instance – from his character. But a psychiatric disorder is a disease, like diabetes or neutropenia, and not the child’s personality. Parents and other family members should not assume that children already have built-in tools to help them overcome the challenges in their lives. However, they can indeed recover better and faster with the guidance and support of parents and significant others. Myth #4. Any form of therapy for kids is useless. Today, psychiatric disorders in children are not treated with just conventional talk therapy. Current treatment programs that have been studied and proven to be effective utilize cognitive behavioral therapy, which is geared towards eliminating a child’s negative thoughts, emotions, and behaviors that have caused him severe disabilities and issues. Many studies have shown that interventions started earlier, specifically at the time when the first symptoms appear, are more successful. Myth #5. Children can cope with their psychiatric disorder if they are strong-willed. 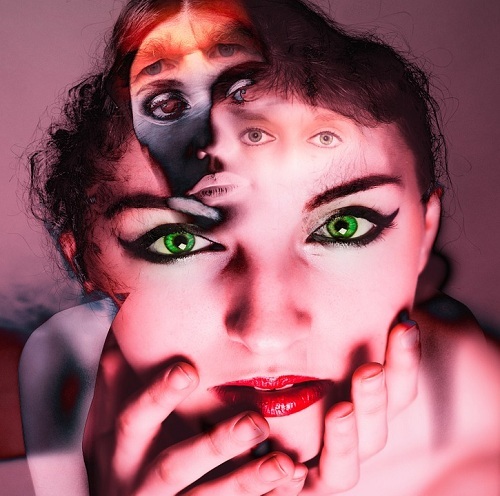 Psychiatric disorders are not merely anxieties or mood swings. The anxiety is so strong, and the stress is severe, and this may affect almost all, if not all, aspects of their life. Children do not have sufficient skills and enough experiences to manage an illness as serious as clinical depression or ADHD. His healthcare team must create a proper treatment plan, which typically includes some form of behavioral therapy and learning ways to achieve happiness. Myth #6. Most children are given too many medications. People who are obliged to speak in public have complained about using prescription medicines in treating their children, which is the reason why many think that psychiatrists give medications to all their patients suffering from a psychiatric disorder. However, efficient and compassionate psychiatrists decide wisely before they begin a child on a treatment program that would include medication usually in conjunction with cognitive therapies. 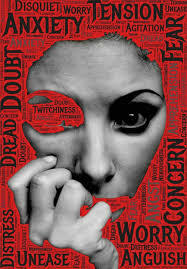 Psychiatric disorders are serious illnesses that need serious consideration as well. Myth #7. Children outgrow their behavioral health problems. Children have a lesser likelihood of outgrowing their psychiatric problems. Rather, they are more likely to grow into or develop incapacitating symptoms. 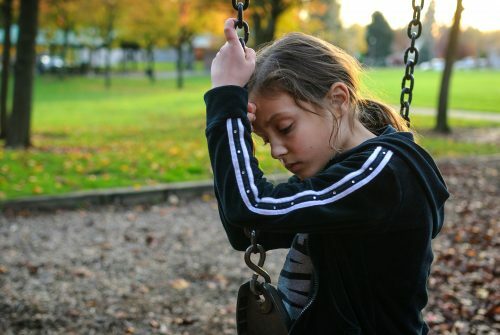 Most often, when a child’s behavioral problems are not treated during childhood, these problems become more complicated and hard to treat in adulthood. Screening young individuals for behavioral problems before they turn 14 is very important. At the same time, initial interventions can be introduced slowly while their brains are most responsive to modifications and treatment plans. Finding out that you have a severe mental health issue can pose several challenges in your life. First of all, there will be denial on your part because you will find it difficult to accept that you are going to deal with a mental illness. Second, you will start to think of the people surrounding you, especially your family. You may find it difficult to identify the proper courses of action in the fear that your way of thinking can fail you in any way. Third, it can also be a big issue if you do not have enough money to pay for the treatment. Lucky for you, there are several methods on how you can handle the situation in a smart matter. Put in mind that there is nothing in this world that you can deal with properly. All that you must do is to believe in yourself that you are capable of making things happen. Learn the art of self-preservation at all times so that you will not make the situation worse. In this article, we are going to share a list of things that you can do once you discover that you have a mental health problem. The best thing that you need to do is to talk to a professional medical or mental health expert who can explain the diagnosis to you. As much as possible, avoid interpreting the results on your own as it can lead to some issues. At the same time, never ask for recommendations or comments from your friends about the diagnosis. Keep in mind that only experts are qualified to explain to you about your mental illness. Listen to them because they are the ones who are skilled in the health industry field. Once you get the results confirming the presence of a mental health issue on your part, you automatically have two options to choose from. The first one is to keep it to yourself until you are ready to let someone know about your condition. The second one is to entertain the need to connect and talk to someone. Do not deny yourself the much-needed emotional support in this trying time in your life. Call a friend and confide to him about your problems. The mere act of talking about it can already relieve you from the pain. Acceptance is something that you need to master immediately so that you will not get stuck at a certain level. Remember that advancements in the health industry have been helpful for patients like you. Nowadays, you can already avail of specific treatments and medications from trusted suppliers or companies. 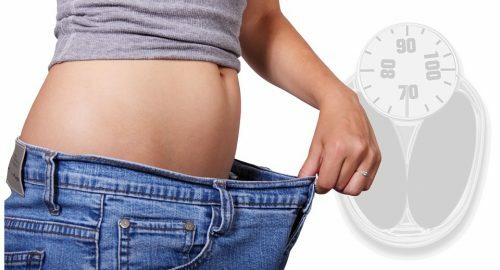 What you need to do is to spend on these items as it can improve your health in the long run. As already mentioned above, avoid seeking medication or treatment support from people who are not considered as experts in the field. Only buy the medicines or programs that have been proven to be effective in improving the healing process. It can be easy and convincing to start losing your mind the moment you realize that you are mentally ill. At times, you will use your condition as an excuse to panic and act negatively. These actions are unwarranted because they can only give rise to more pressing problems in the future. The ideal thing that you can do is to keep your calm to ensure that you can think clearly. Always put in mind that panicking will only lead you to nowhere. Be smart enough to remain calm at all times. Make it a habit of engaging in physical activities that can help not only in improving your health but also in changing your mood into something better. You do not have to go to the gym daily to achieve your fitness goals. The best part of all is that you can try home exercises even at the comforts of your own room. Thirty minutes to one hour of exercise is already considered sufficient. 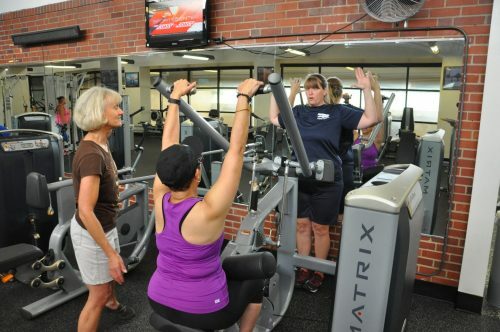 Say goodbye to a sedentary life because you deserve good health. Now that you have already found out about the mental illness, the right thing to do is to put yourself as a top priority at all times. Never do something that can potentially harm yourself of everyone around you. 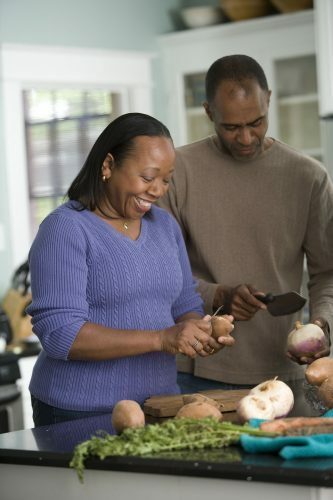 Be more careful or precautious when it comes to taking good care of your health and body. Otherwise, you may suffer from the consequences of your acts. Be sure to think twice before you do a particular act. Think of how it can affect you or the ones you love before you do it. Self-preservation is easy to achieve as long as you follow the tips mentioned above. Finding out about your mental illness shall never be treated as the end of the world for you. Instead, use it to inspire you to live a more meaningful life. With the recent advancements in technology, it has become easier for a lot of people to disseminate information. The rise of social networking sites has contributed to the convenience of spreading news, findings, and other theories. Nowadays, people all over the world can share anything with one click of a button. This can be dangerous since many individuals keep on sharing different information online without verifying whether these are true or fake. At the same time, there are also many persons who share what they believe in even if their belief is baseless. Most of the time, they end up convincing their friends in the online world. The most widespread conspiracy theories are linked to mental health. 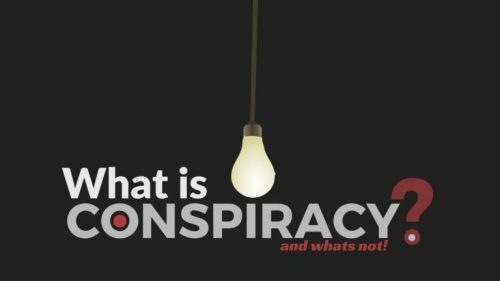 In this article, our primary focus is to pinpoint the top reasons why people believe conspiracy theories on mental health. 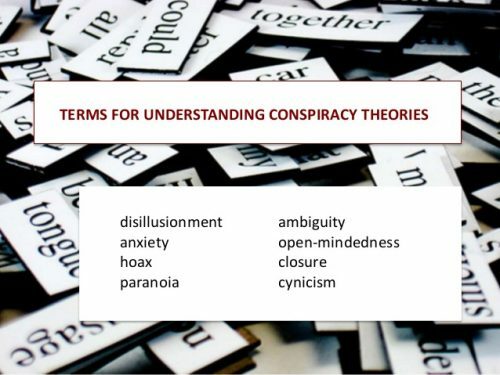 A recent study reveals that there is actually a connection between anxiety and inclination to conspiracy theories. According to this research, people who are always anxious are more likely to believe in conspiracy theories. Anxious individuals often experience a loss of control or focus on a particular subject matter. This is the reason why they prefer to think baseless theories compared to those already clearly established. People who promote conspiracy theories about mental health claim that following the theories would make people live longer and become healthier. Otherwise, those who do not accept the theories will end up suffering from medical problems. This is the main reason why a lot of people find it convenient to believe the theories easily. They would just simply accept the conspiracy theories because of fear of harm or even death. people, it is more important to consider what they feel than what is the truth. 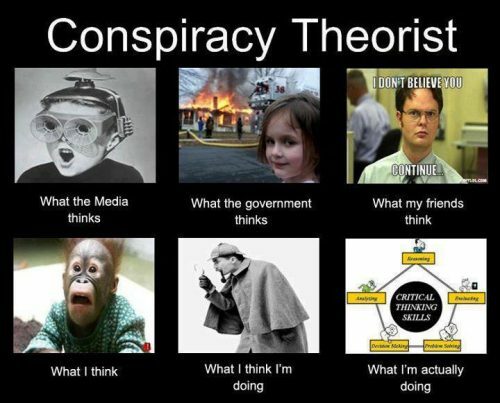 A large number of conspiracy theorists have too much confidence in what they do or study. They do not accept the findings of other experts or professionals. They believe that it is impossible for other people to be more superior to them. These individuals also enjoy giving critics about medical findings all for the purpose of increasing their self-worth or superiority. When it comes to the discipline of the mind, theories were formed left and right, influencing today’s psychological evaluations and applications. Theories, by definition, are based on statements of possibilities for some natural occurrence and are usually supported by evidence. Theories relating to science are most likely based on a certain framework with multiple probabilities and explanations. When a theory is presented, it becomes a concept to be tested. 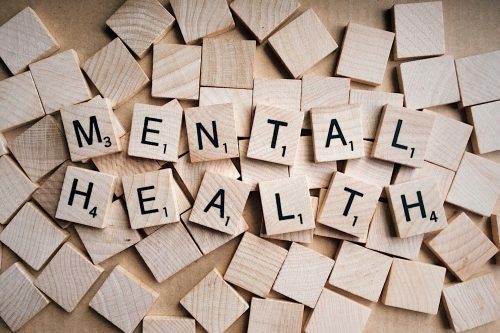 Mental health theories The theoretical foundation for psychological interpretations is currently used as standards for comprehending manifestations of human emotions, behaviors, and thoughts. Mental health theories usually have two basic components – the behavioral description and prognosis for subsequent actions. Since the discovery of psychology, there have been several theories that were proposed in order to elaborate and surmise different facets of individual behavior. While other theories were dismissed due to its weak premise and presented evidence, some were able to pull through and are currently being used by medical practitioners, and some were reconditioned by researchers. There are six types of grand theories formulated by a few renowned, historic personalities like Erik Erikson, Jean Piaget, and Sigmund Freud.The development proposed by grand mental health theories often contain the learning, cognitive, and psychoanalytic theories that collectively explain the entirety of a human’s behavior towards oneself and the society. Currently, researchers and psychologists continually use these grand mental health theories to expand the basis of examination. 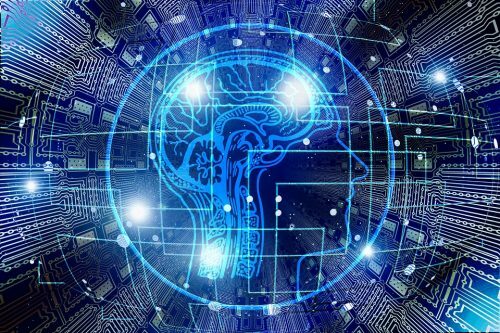 Considered as one of the more popular theories, the developmental mental health theories have is said to have a high influence on our present-day psychology. A lot of relevant psychological studies applied as of this date has derived much of their explorations through the concepts and principles devised by developmental mental health theories. 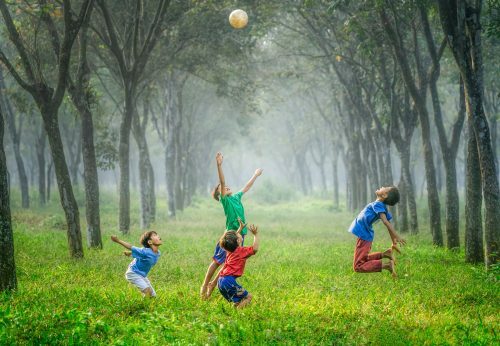 This mostly describes human development in such a way that focuses on growth and formation throughout the years like in Erik Erikson’s case, the psychosocial development theory. 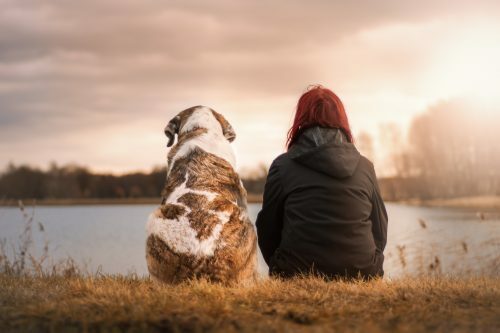 Behaviorism, an approach that is aimed at understanding human and animal behavior through systematic mechanisms and experiments, theorizes that behaviors can be learned through the process of conditioning. Through people’s interaction with their environment, conditioning happens. Behaviorists somehow believed that people’s responses to any form of environmental stimulant trigger their actions. This is mainly based on the interpretation, perception, and explanation of a person’s social behavior. These are paradigms created to broaden social phenomena encompassing certain ideas involving the changes in the society and the influence of ethnicity, love and relationships, gender, social structure and behavior, civilization, and modernization. 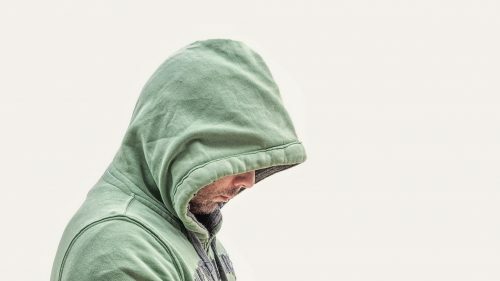 Emerged in the 1950s, humanistic mental health theories are popularized by Abraham Maslow and Carl Rogers as those theories emphasizing the fundamental morality of humans. Humanistic theorists believed that individuals are mainly defined by their perception of their surroundings and are motivated to become successful in gaining maximum potentials. Mainly centered on how human minds think, cognitive mental health theories is considered as one of the most modern theories being used by psychologists. While other theories consider other factors like chemical imbalances in the brain and genetics, the cognitive psychological theory assumes that humans behave accordingly on how they think and can also be explained by the stimuli responses. Governed by the idea that a person’s behavior, thoughts, and feelings, personality psychology is aimed at examining these patterns and correlating them to what makes an individual stand out. 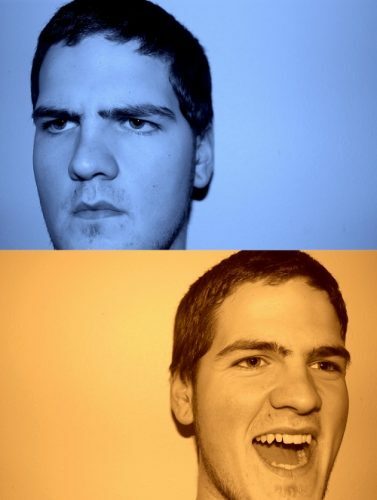 By highlighting the uniqueness of a person, theorists have devoted their time to study the traits and characteristics that others lack or do not possess. In a broader perspective, theories revolving with personality psychology tend to address a broader concern of how it is to be a real person. Answers are built on theories Having a deeper sense of understanding and differentiating one theory from another improves your general view of psychology. Theories may seem insignificant but one must take into consideration that, treatments and therapies revolving around mental health are derived from these theories; making them as solid foundations for the modern psychology. When it comes to the issue of mental health, the first thing that you need to take into consideration is the belief on the supernatural. Some studies show that adherence to the false reality or existence of devils and demons can lead to the development of mental illness. For the experts, especially the professionals, this finding is entirely absurd. They believe that the causes for having mental health problems arise to some reasons other than demonic influences. Is There A Link Between Paranoia and Conspiracy Theorists? In the field of science and technology, professionals and experts only believe something after conducting thorough research or study on it. They always want to consider specific facts and circumstances to test the hypothesis. As such, experimentations are always necessary. Most of them will only accept a particular set of principles or new learning after a careful experiment has been conducted. On the other hand, some conspiracy theorists only believe what they think is convenient. They are the ones who have a firm conviction on certain doctrines that they believe are true. Because of this, they reject any other concept or idea that is different from what they believe is right or superior. In a recent study conducted by medical practitioners who specialized in mental health, most of these theorists suffer from paranoia and delusional disorder. Health brouhahas with little to no scientific basis crowd our Facebook newsfeeds all the time. 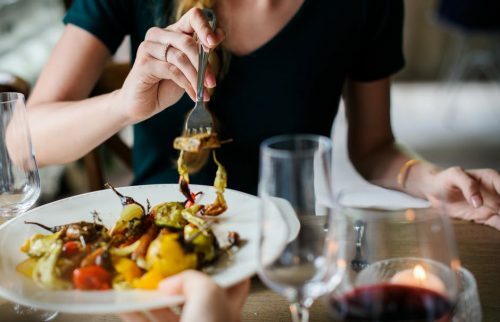 Tips like “Eat This Fruit To Lose Weight Fast” or “The Cell Phone Health Dangers Nobody Told You About” are just a norm on social media platforms that most of us have learned to just ignore them…or have we? One study confirmed that about 50% of the American population believes these seemingly-authentic-but-at-most-crazy conspiracy theories on health and medicine. Know why this is a valid cause for alarm. Researchers polled over a thousand people online asking them about the most commonly known health and medicine-related conspiracy theories and what’s their standing on each – believe, don’t accept it as authentic or is at a crossroads. Then, their health habits were taken into account along with their answers to see if their beliefs affected how they managed theirs and their families’ healthcare. The FDA covers the truth about effective herbal remedies for physical maladies because the market doesn’t generate as much money as synthetic drugs do. Doctors fully know that vaccines cause disorders such as autism but administer them anyway because the government obligates them to do so. Adding fluoride to water is just the big corporations’ way to dump other harmful chemicals into the people’s tap water. Cell phones are cancer-causing agents. However, cell phone companies pay health officials so they won’t let this out to the masses. 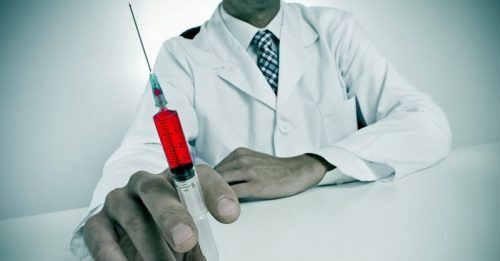 The CIA infected a large percentage of the African-American population with HIV covering it up as vaccinations for hepatitis. GMOs (Genetically Modified Foods) are part of a government-sanctioned global-scale genocide to control world population. 49% of the respondents believed in at least one of the health conspiracy theories mentioned above. 18% of the polled individuals believed three of the abovementioned medical-related schemes to be true (dubbed by the researchers as the high conspiracists). 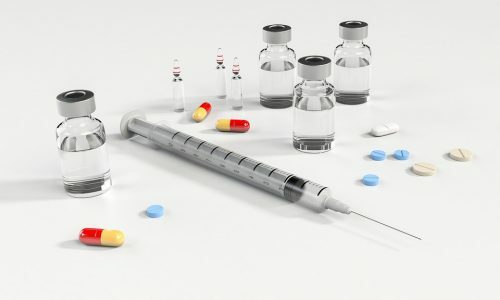 The FDA’s cover-up of potent herbal supplements for disease eradication gets the highest percentage of believers at 37% followed by doctors’ knowledge on vaccines and cell phones causing cancer which both got 20%. Lastly, the fluoride-big corporations’ scheme and GMOs for population culling both received 12% shares of the truth votes. One interesting note about the results is that the conspiracy believers cover both ends of the political spectrum (35% said they were liberals while 41% were conservatives). 80% of those who said they believed at least one of the theories mentioned above were most likely to favor health diagnosis and advice dished out by celebrity doctors and herbal medicine practitioners like Dr. Mehmet Oz. 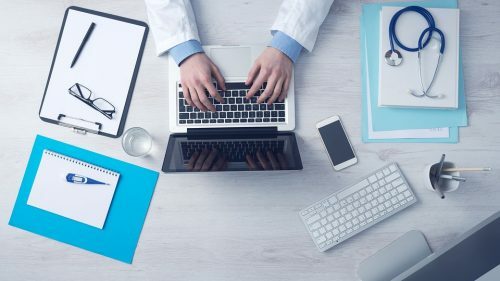 They also prefer consulting these people or the Internet than going to medical professionals when looking for treatments for themselves and their families.Furthermore, they’re very likely to forego regular physical check-ups, sunscreen use and traditional shots like those for the flu as well as vaccinations. 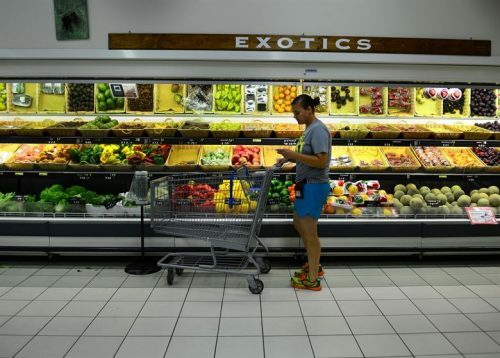 They’re also local, and organic produce consumers and use alternative natural-herbal medicines. For its conclusion, the study was able to prove that belief in pseudoscience ideals directly affects how a person takes care of his health and that of his family. And while there’s nothing wrong with going organic or using alternative medicine, health-related conspiracy theories, at times, promote some very dangerous principles. For one, there’s a recent hype about raw, untreated water consumption with every bottle sold at $60.99. These bottles of water are peddled as “all natural, so they’re good” drinks but at the cost of the drinker’s health. Raw and untreated water is unsafe and carries germs. These microorganisms could cause a wide range of maladies from diarrhea to typhoid to even polio. Not only that! 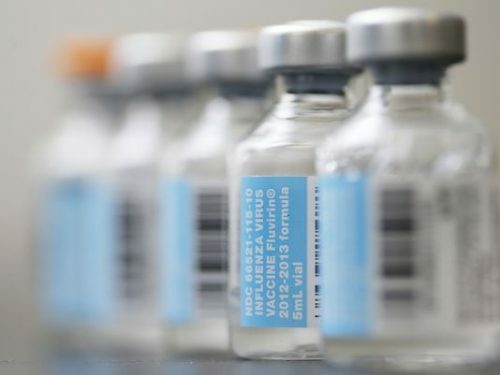 Shunning vaccines could bring harm to unvaccinated kids in the long run. But as one of the researchers pointed out, correcting conspiracy theory believers is difficult.